Cap 4 to 10 cm. 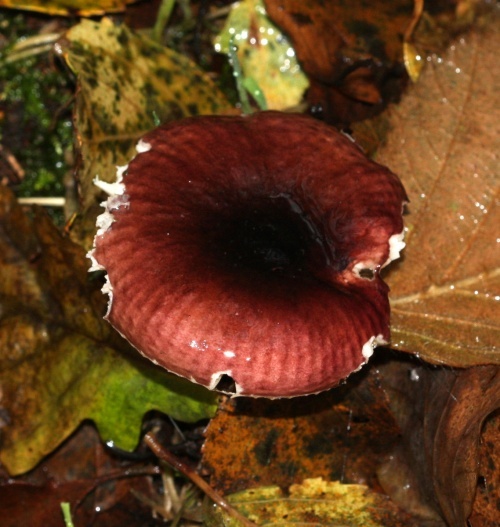 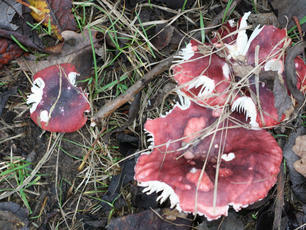 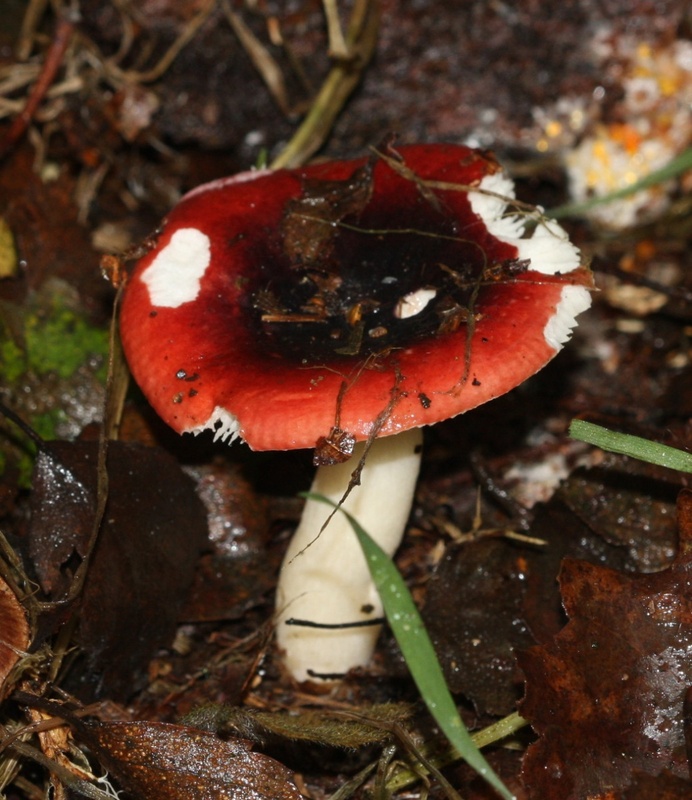 This is a dark wine coloured fungus, usually having a darker, almost black centre. It is at first convex, but later flattens, and often has a shallow depression. 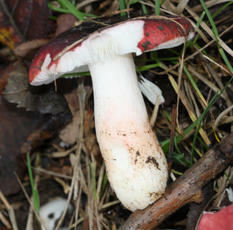 The stalk (stipe) is firm and white, greying with age and the gills are cream. The flesh is said to smell of apples. 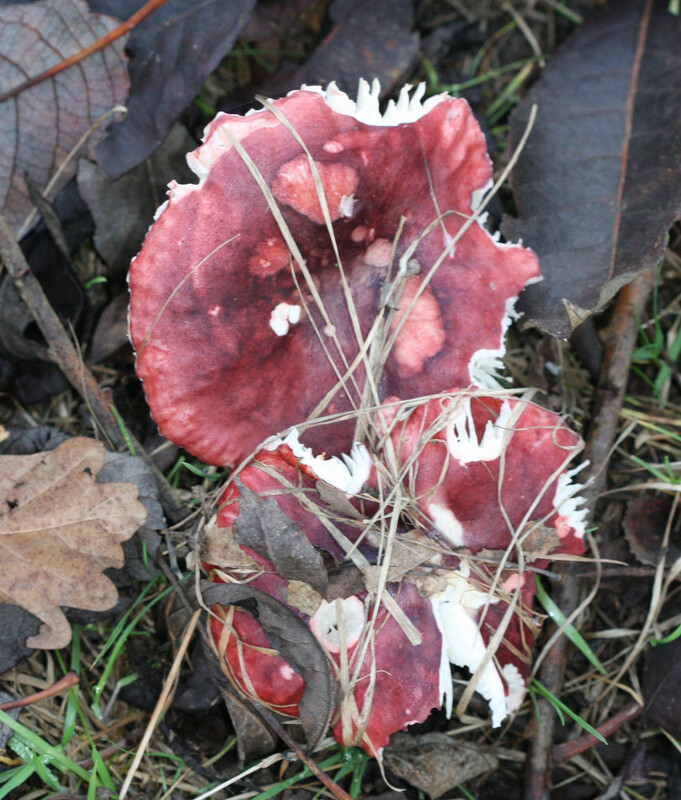 Associated with deciduous trees especially Oak.